Today’s vehicles have a sophisticated computer system that constantly monitors the vehicle. The system is constantly making adjustments to fuel and the car to ensure you get the best performance at the best possible ride as well. Sometimes however, the computer system in a car can detect there is a problem with a subsystem of the vehicle. Most times when this happens the car will attempt the alert the driver of the car by using warning lights on the dashboard. There are many different warning lights that may appear on your dashboard and they can mean a variety of things. One thing that you shouldn’t do however when a warning light appears on your dashboard is ignore it. Here are some of the common warning lights on the dashboard of your car and reasons why they might appear on your car. 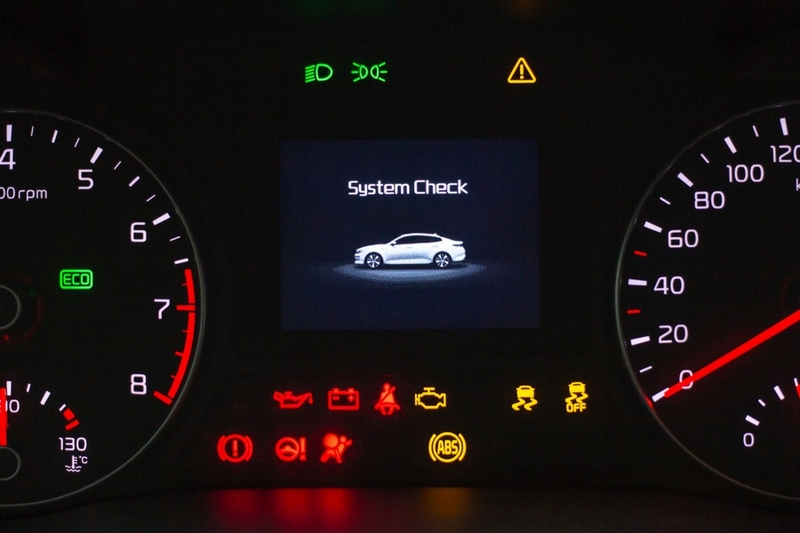 Although many cars will have different designs or inclusions when it comes to dashboard warning lights they are usually similar and the more common ones are included in most cars and trucks. There may be additional items that can help you understand what is happening with your car such as gauges for some items but they aren’t always present. Here are some of the reasons why you don’t want to avoid getting your car serviced when a warning light appears. When your car starts to have a problem with a component it may not fail right away. Instead, things like a battery may start showing signs of failure before it causes you to get stranded somewhere. When a warning light appears on your dashboard there is some sort of problem with the vehicle. The car may seem to drive and perform as it should but the computer is picking up some sort of problem. Getting the car checked and repaired during this initial stage can save money because you may not get stranded somewhere and need towing service and the problem may be able to be repaired for less money. One warning light that many people overlook is the tire pressure warning light. Driving with your car’s tires under-inflated can damage the tire and cause the tire to wear more rapidly. Checking the tire pressure and making sure they are fully inflated to the manufacturer’s recommendations can help your tires last longer, give you better gas mileage, and allow the handling of the car to be much better. Oil is the lifeblood of your engine. When there is a problem with the oil getting to vital engine components it can create a situation which can be catastrophic for your engine. Without oil the engine will soon seize and need to be replaced. If your car suddenly drops in oil pressure or the oil level light comes on it is very important to get it checked quickly as possible. Running your car without oil can be a huge problem. Vehicles today are configured to have different suspension settings depending on the driving habits or terrain the vehicle is on. For the best fuel mileage it is best to have the vehicle set on eco or highway setting. If the vehicle is always in another setting you may be using more fuel than needed and riding with a more rigid suspension. The braking system on your car has many different warning signs to let you know there may be a problem. Brakes are absolutlely crucial for your car to be safe. Don’t ignore any warning lights that say there is a problem with the brakes, airbag, or ABS system of your vehicle. Whenever a warning light comes on your car’s dashboard make sure you get it checked by a certified ASE mechanic. 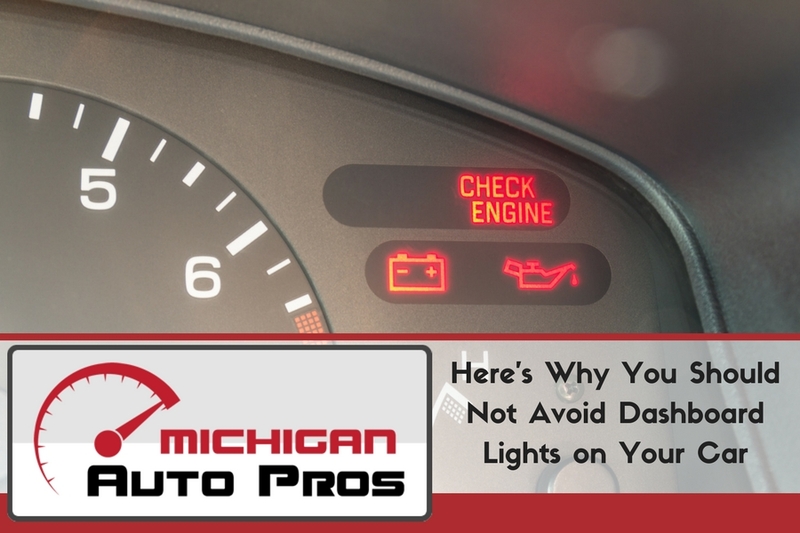 Getting your car checked when the check engine light in Downriver Michigan comes on means you can keep your car running longer. Be sure to check out Good Care Auto if there is a warning light on your dashboard.